Dr Penny Barratt is executive headteacher of The Bridge School in London and The Bridge Integrated Learning Space. The school caters for students with autism and/or severe learning difficulties or profound and multiple learning difficulties. It has a primary and secondary site catering for 180 pupils, plus an outreach service. The Integrated Learning Space caters for 25 pupils between the ages of 7 and 19 with complex needs and accompanying challenging behaviours. In addition The Bridge is a teaching school and has a very well respected outreach service. Penny has worked in the field of special education for over 30 years ,both in the USA and in England. She has held a wide variety of roles working with children and young people of all ages, in both mainstream and specialist settings. 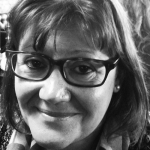 Penny has been involved with the Department for Educations’s Bureaucracy Reference Group for over six years, sits on the leadership group of Challenge Partners and sits on SSAT’s National Headteacher Steering Group. She sat on an advisory panel discussing the new assessment procedures and has recently sat on the Teaching Assistant Standards Panel.